There was once a couple who lived in a garden they’d been put in charge of. They were tree-huggers, vegetarians, and off the grid; they walked with God in perfect peace. . . until they were enticed by a “precious” piece of fruit. Thus follows a tale of betrayal, lust, faith, redemption, courage, and . . . total absurdity. 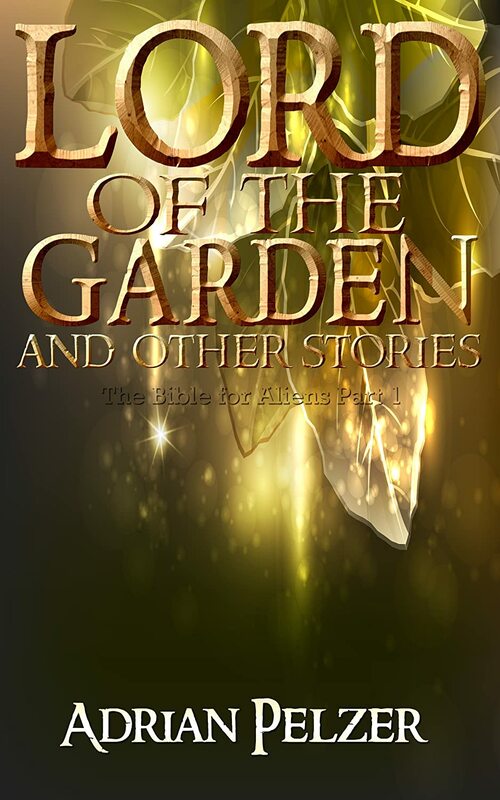 This is the first volume in a series of hilariously re-told Bible stories called The Bible for Aliens. There will be more to follow. I have been writing these stories since 2004, when I wrote a humourous re-telling of Eutychus, the man in the Bible who fell asleep while Paul was preaching and then fell out of the window. Since then, I’ve written them for fun and entertainment, reading them publically whenever I got the chance. Last year I realized I had enough stories to publish, so now other people can enjoy them as well! The characters are real Bible characters, but I have interpreted their personalities and interests in light of what they did, adding current cultural details. For example, Adam was a vegetarian and a lover of nature, though the Bible does not make a point of emphasizing this. Eve didn’t see the harm in looking at the fruit, but as she examined it she became lost in her concentration. Suddenly she heard a voice. It was not abnormal to hear animals speaking; they often did, and they could be understood by humans, though they mostly just talked about food and weather. “It’s precioussss to me,” the snake hissed again. “Precious? What do you mean precious? God told us never to eat this fruit,” Eve asked, somewhat puzzled. Animals did not usually express personal feelings. “Has God indeed sssaid, ‘You shall not eat of every tree of the garden?” the snake replied. Adam, at a distance, saw his wife talking to a snake and didn’t think much of it. Then he did a double take: she was holding the forbidden fruit in her hand and was close enough to the tree to touch it! Meanwhile, the snake allowed Eve to come to the realization that she was indeed touching the fruit, and, whatever dying was, she had evidently not done it yet because nothing bad had happened. Then he put on an air of worldly wisdom, licking his nonexistent lips effectively: “For God knows that in the day you eat of it your eyes will be opened, and you will be like God, knowing good and evil. Yes, you have been missing out because God is holding you back. All of us animals know your true destiny—we’re all waiting for you people to realize that you can be gods. See—you haven’t died even though you touched the fruit—now what’s the harm in trying it?” he finished with an inquisitive yet challenging tone, as if to issue a dare. Adrian Pelzer studied English literature and Biblical Studies at Trinity Western University and Regent College. He enjoys movies and books, especially science-fiction and humour; he also enjoys soccer, golf, skiing, and hiking. Adrian currently teaches high school English and Bible in Vanderhoof, B.C., Canada, where he lives with his wife and four young children.